We are heading to Mt. Hood for the weekend to run the Mt. Hood Scramble on Sunday, and won't be doing our normal long run on Saturday. 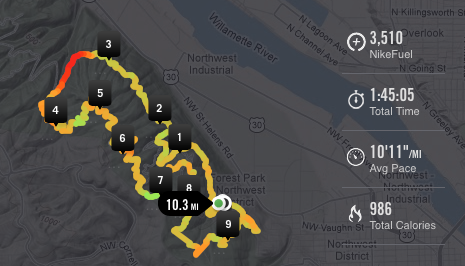 Luckily my work schedule is a little more flexible on Fridays, since I work from home, so I decided to do a quick 10 miler in Forest Park this morning. 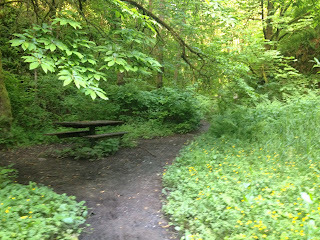 I love being able to run in the park on Fridays, it is so peaceful and quite. 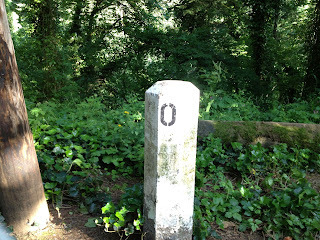 There was hardly anyone at the Thurman trail head when I arrived, I actually got to park next to mile post 0. Normally on the weekends you don't even see it because there are so many runners hanging around it. The Thurman trailhead / Leif, up a connecter trail to Wildwood, is our default not-put-a-lot-of-effort-into-planning route. 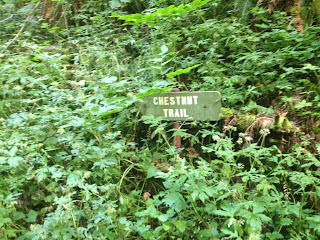 I decided to run Leif to Chestnut, which is right before mile post 3.5 and right after Nature trail. The trail sign is few yards up the trail, and this time of year it is hard to see. There is a picnic table which a good landmark. 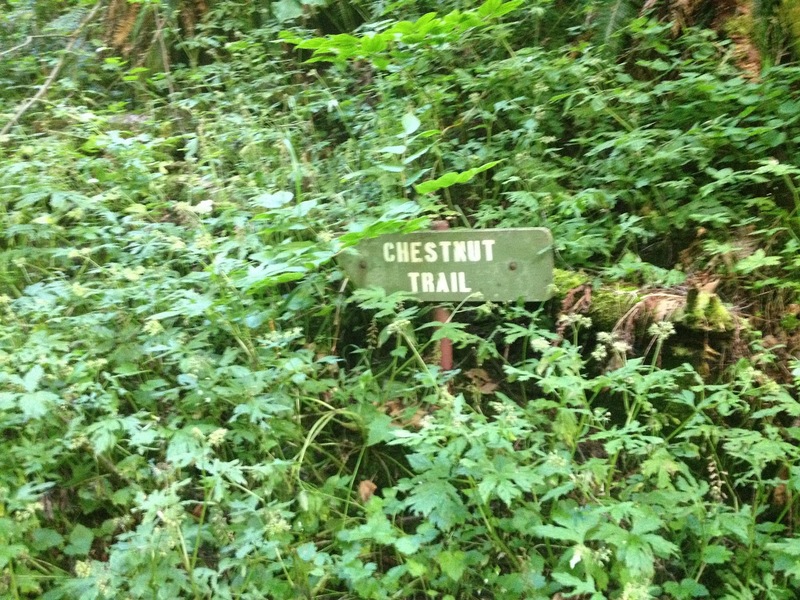 Chestnut is about 1/2 a mile long, and a nice steady climb to Wildwood. I ran Wildwood to Apsen, back to car and then home to work. According to my Nike+ app the route is 10.3 miles.